If you’re looking to add exterior lighting to any part of your convoy or vehicle, you best believe that we have just the solution for you at Phantom Lighting. 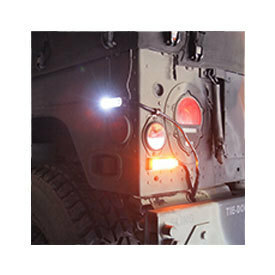 Our rugged, high-power, low draw lighting comes in a variety of shapes, sizes, and colors to help illuminate your vehicle from all angles on the roads or off-roading. We carry red and blue lights for those LE operations along with amber lighting for convoy operations. No matter what your vehicular lighting needs are, you can trust that any of our Phantom lights below will perform for you on any and every mission.